Are you struggling to grow your Twitter following and getting confused with the amount of advice out there? 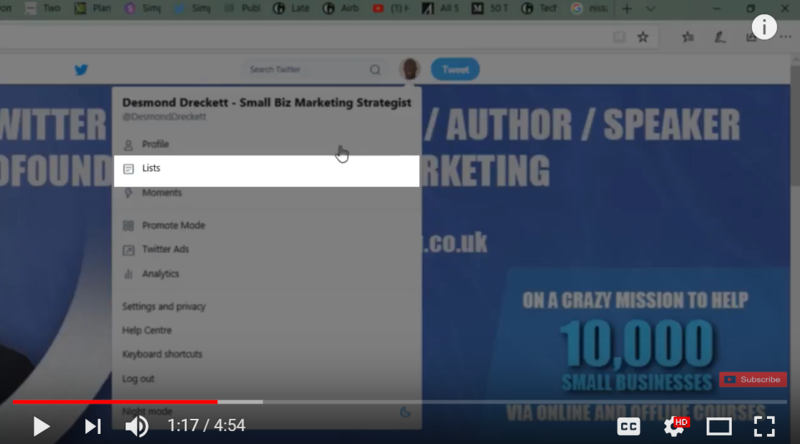 In this post, I go through just one of the strategies I use to increase my Twitter following. There are plenty others, but, if you do what I’m suggesting in this post consistently, your following will grow naturally. So, what are the best ways to get more followers on Twitter? By engaging a lot more with my followers. Coming up……..
Hi, this is Des from DesDreckett.com and on this channel, we give you the tools and tips you need to support your side hustle. So, if you’ve not been to this channel before – Consider subscribing. I was on a road trip the other day and I thought: “A lot of messages pop up in my inbox on Twitter, asking how to get more followers”? So, in this series of road trips I’ll tell you exactly how I get more followers and in this video, I’m gonna explain how I do it by engaging with more followers. Taking a look at your social media accounts, one of the main things you need to do is engage with your audience. This means finding out who follows you – who are the people that engage with you the most? You can’t really do this in the same way on Instagram, but, on Twitter, you can set up a list of these followers. On Twitter you can set up what they call a “Twitter list” – all you need to do with that list is find out who engages with you the most. Whoever engages with you the most, you need to put them onto that list! You can call this list whatever you want: “Top engagers”, your “top peeps” – you can even call them your “super fans” – call them whatever you want on that Twitter list. Whatever you call them, you need to set up a list of people who engage with you the most. Put them onto that list and make it a habit of engaging with these followers either once a day or once a week. (I’d probably say minimum once a week). You need to engage with them because otherwise they’re gonna find someone else to engage with and that would be almost criminal if you allow them to do that – I mean, what’s the point of being on social media, then!? You should probably find something else to do instead…! It depends how large your account is – if you’ve got hundreds of people following you and you’ve got 10 people who regularly engage with you, it’s super-important that you engage with those people. Another little tip for you is; you want to start engaging with people that your followers engage with, especially somewhere like Twitter. You do this by looking on somebody’s account and clicking on the “Notifications” tab. 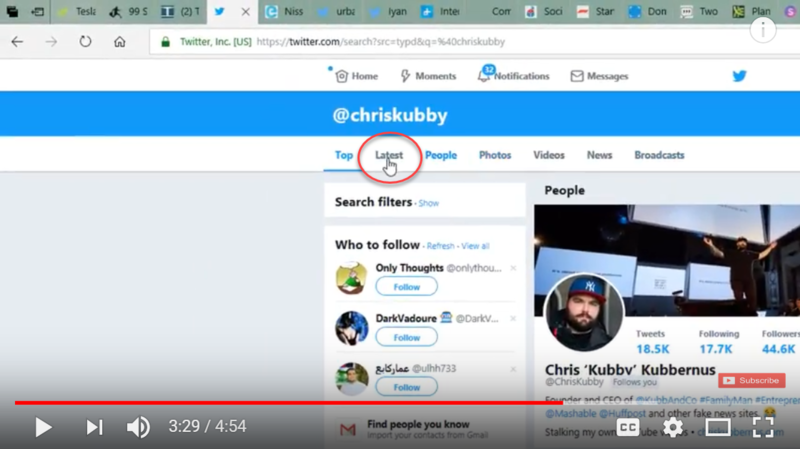 Find out who’s engaging with you and put their Twitter handle into the search bar, this will bring up their name but you don’t actually click on their name, you hit “return” on your keyboard instead (obviously best done on a desktop). When you type in somebody’s Twitter handle into the search bar and you hit “return”, rather than going straight to their feed, it brings up the top results for that person. 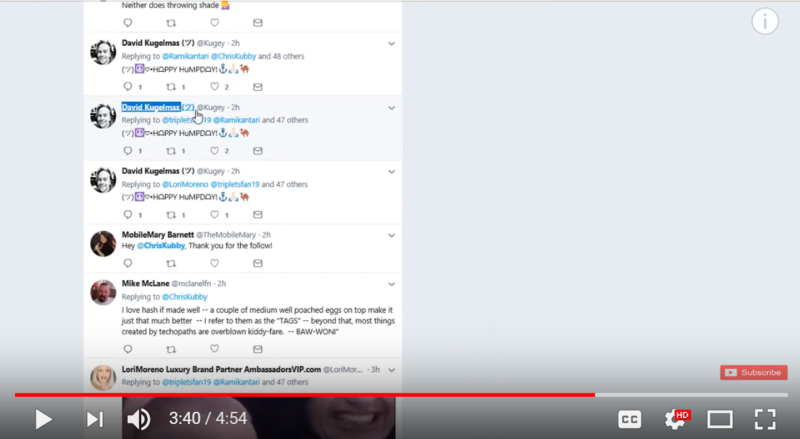 Then you wanna click on the “Latest” tab and it will show you every single interaction they have had on Twitter – newest to oldest. It’s completely and totally up-to-date and you can then scroll down that list to find out who they’re talking to because it will show you whenever they answer somebody’s questions or they’re talking to somebody. This means you can then also follow and engage with these same people/accounts. The way the algorithm works and it’s the same with every social media platform, it wants to show the most relevant information to you so it can keep you on the social media platform longer and this is done by encouraging conversations and engagement. So, you need to do exactly that: Engage with the people who follow and engage with you + follow and engage with the people they follow and engage with…! Most likely, you’re in the same niche or you’re interested in the same things, meaning their followers will be too. This is great for the algorithm and , in turn, excellent for social media!